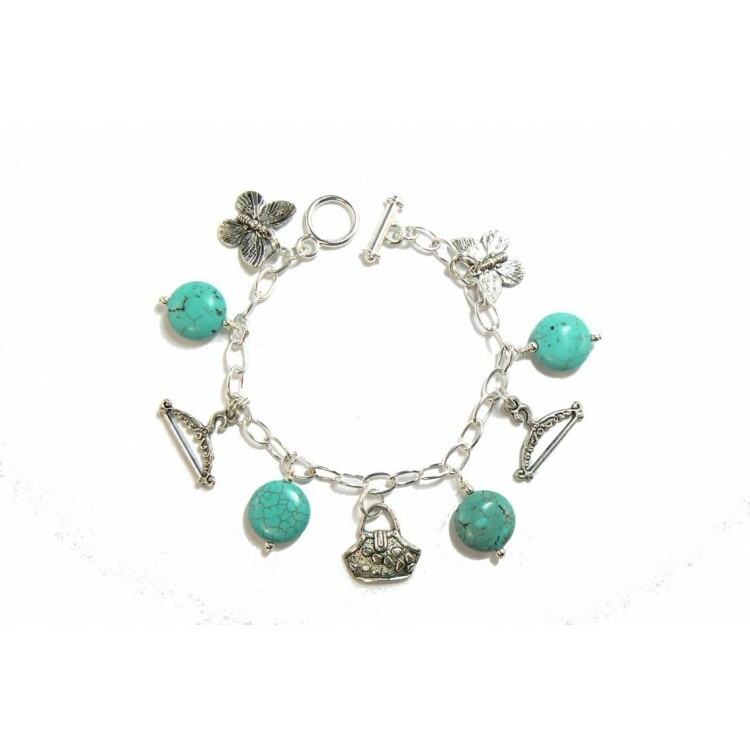 Enchanting, opaque, and often veined, this silver plated and turquoise charm bracelet is captivating. Loved and appreciated by all that wear it. 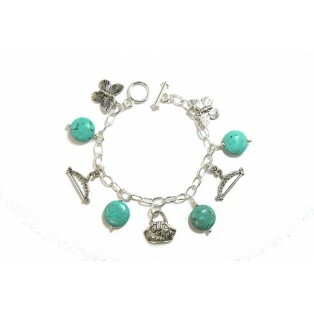 Turquoise is the birthstone for Sagittarius Nov. 22nd. - Dec. 21st. Turquoise is one of the first gemstones ever to be mined, and is famed for its intense colour, which ranges from green to sky blue. The colour variations are due to the amount of copper and iron present. I have designed this bracelet using a 7.5" (19cm) silver plated chain. Attaching various Tibetain Silver charms (which may differ slightly from the ones shown), plus four 13mm button shaped genuine turquoise beads. I have added an easy to fasten, silver plated, toggle style clasp. All of the silver plated findings and beads are "nickel free" and comply with EU directives.